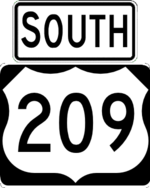 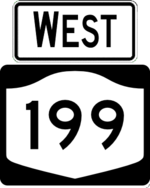 US 209 and NY 199 for a freeway bypass around Kingston to the Kingston-Rhinecliff Bridge. 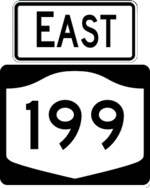 The freeway was intended to continue south as the Catskill Expressway, a proposed interstate to I-84 in Port Jervis, and NJ 94. The interstate route was rejected by FHWA and the freeway extension never built.